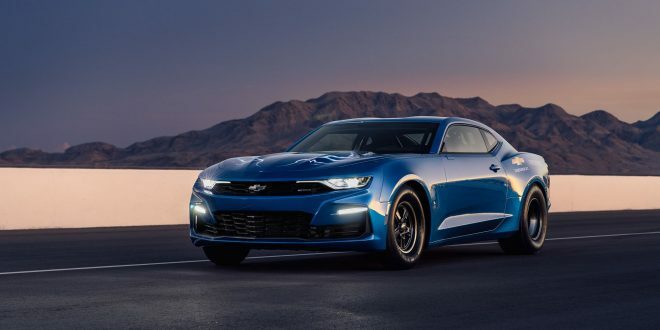 Each year Chevrolet utilizes the SEMA aftermarket show to display a new COPO Camaro, but this year they’ve thrown in an an extra model dubbed the eCOPO. The eCOPO is a Camaro hammering out 700 horsepower totally from electric. Chevy is leveraging its conceptual COPO car as a means of advancing the conversation around electrification in drag racing. The powertrain of this beast certainly builds a strong case. Not only is the eCOPO packing 700 horsepower, but also 600 pound-feet of torque thanks to two massive BorgWarner HVH 250-150 motors that replaced the convention V-8 found in the normal COPO car. The two electric motors are connected to a conventional Turbo 400 automatic transmission. Perhaps one of the most interesting elements of the eCOPO is that its electric motor assembly is designed to slot into the Camaro’s conventional engine slot. Although Chevy hasn’t announced anything, it sounds like the brand is aiming to ultimately offer an electrification swap sometime in the future. Now how about a silent dragster?